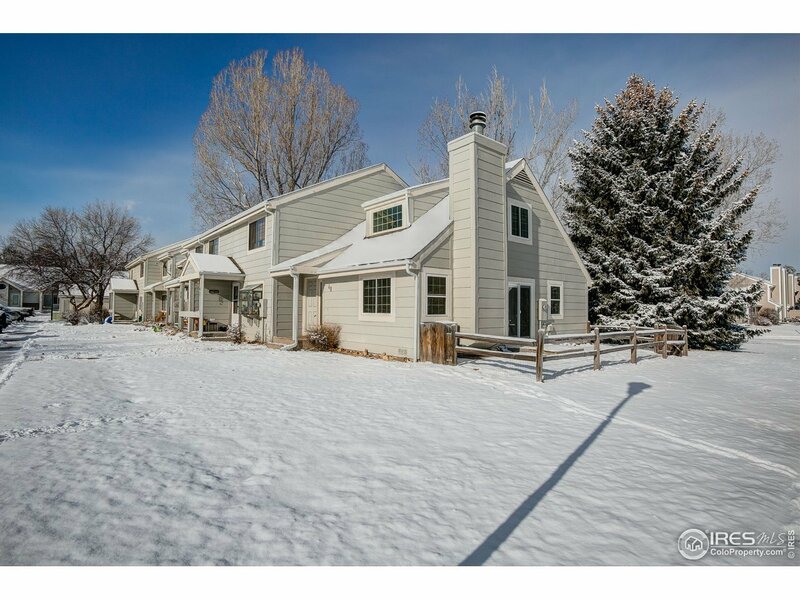 Super clean, bright&cheery end unit TOWNHOME w/ main floor bed&bath. Tall/volume ceilings in living room w/ tile floors&wood burning brick fireplace. Sliding glass door off kitchen opens to fenced area&patio. 2nd bedroom&3/4 bath upstairs, along w/ easy attic access-great storage space. Two reserved parking spaces right out front. Completely turn key w/ brand new carpet&paint, all appliances included-even w&d-seller is installing brand new window blinds, & pre-inspected w/ 1 yr warranty. Hurry!